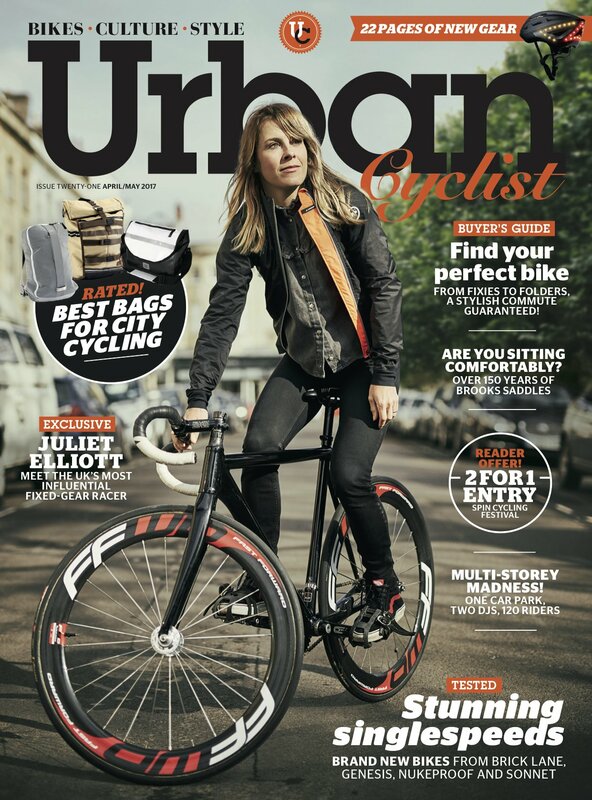 I was delighted to be approached by the guys are Urban Cyclist for an interview recently, deemed urban enough despite currently residing in a tiny village thanks to my connection with racing city centre crits, such as Red Hook. Nonetheless, a photo shoot in our village of thatched cottages didn’t seem appropriate so I hopped on a train up to Bristol to meet the editor, photographer and writer for a day in the city. In between talking at about five million words a minute in an effort to explain my somewhat complicated and diverse career so far, we shot some photos on my old, soon to be retired track bike complete with Fast Forward F6T tubular wheels. 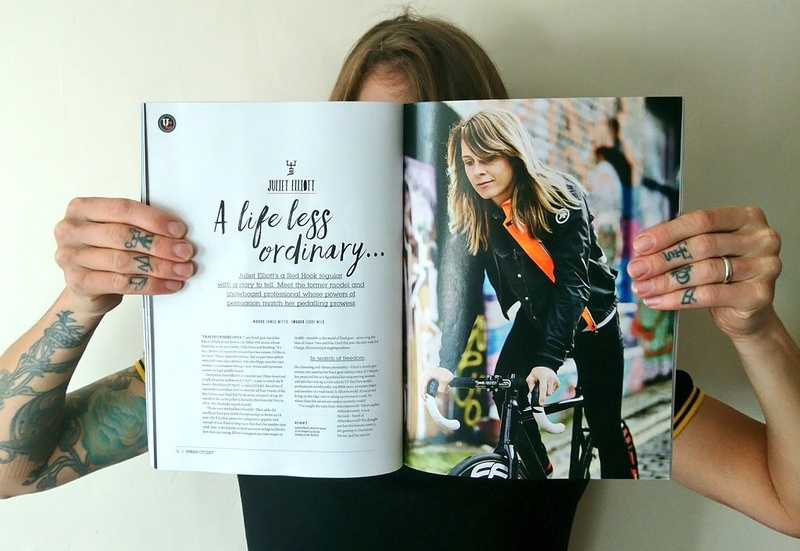 The resulting six page spread and cover are in the shops now, so grab a copy to find out more about my life before cycling, which seems like ages ago now. Who’d have thought that having a few bikes stolen and getting into riding fixed gear bikes as a result would have led me to where I am now? A big thanks to the Urban Cyclist team for including me! Just purchased a copy online as it’s not stocked many places in Scotland – interested to read your feature, sounds great! …but also…soon to be retired bike! what are you going to be riding next? …also, what happened to your Charge bike? Ah great, hope you enjoy reading it. I’m going to be riding a bespoke Hartley Cycles frame which is being made as we speak. I’m just about to post about the video I made documenting the beginning of the process. The Charge bikes I’ve ridden in the past all went back to Charge. The black bike I raced on last year with the Charge Bikes sticker was actually a Canondale and I still have it. Hi Juliet loving what you do. What’s the jacket your wearing on the cover shot. ?